Mumbai is a vast city and is popularly known as the city of dreams and the city that never sleeps; it is also one of the most populated and largest cities in the world. With such a huge area, population and a history that goes back by hundreds of years, this city has something to offer from every era. For every visitor or local, the most important thing in any city is to find something to do, whatever the purpose. “What to do?” is the biggest question when you’re visiting any place, or when you even want to go out in your own city. 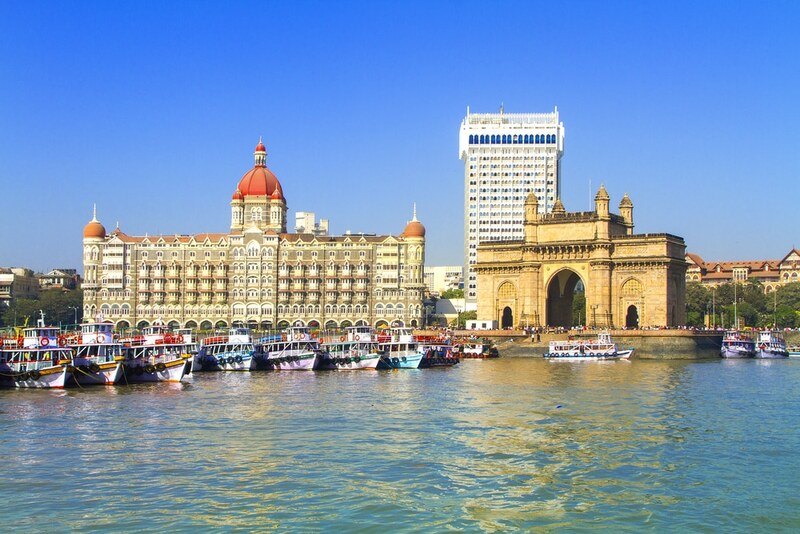 Mumbai has a lot to offer to people of every age group and with varied interests. Whatever you may ask for, Mumbai has it, be it history, modern structures or bustling markets. So among the many things that you can do in Mumbai, here are the top few that are loved by all and will surely be enjoyed by you as well. The Marine Drive is fondly known as the Queen’s Necklace owing to its view at night. Worli Sea Face on the other hand has soared up in popularity since the construction of the Rajiv Gandhi Sea Link, which has beautified the view from here. Far away from all the hustle and bustle of the city lie these places where you can unwind by sitting and staring into the infinite blue or observe the beautiful skyline of the city with the sounds of waves lashing against the huge boulders in the backdrop and fine mist blowing on your face. Be it early morning or late night, you can always find people here seeking solace from their busy lives. It is common to see thousands come here for jogging every morning or walking their pets. Some of the finest restaurants of town are located at the sea-face and having your meals with this pretty sight in view is indeed a treat! This definitely is THE best thing to do in Mumbai. Beaches make a city beautiful, don’t they? Time flies while lying down and relaxing at any beach; it is easy for a day to pass by without even noticing. The sound of waves hitting the shores is indeed music to the ears and it instils a sense of peace and calm in the mind. Juhu Beach and Girgaum Chowpatty are two such beaches among many beaches across town that attract thousands of residents and tourists every single day. Puri, every delicious dish is available here for your indulgence. Some of the finest cafes and restaurants of Mumbai have opened up near these beaches and you can enjoy some of the most exquisite Indian and international cuisines there. Mumbai is a heaven for shopping addicts. From small street-side stores to international brands in sprawling malls, you can easily find things that suit your taste. While malls have come up pretty recently, street shopping has been here for years and is still all rage among the citizens of the city. Colaba Causeway is one such area where you can find your type of clothes and actually be spoilt for choice. This seemingly never-ending narrow lane is present among old colonial-era buildings and has vendors on both the sides. You can also find some fashionable boutiques here. Some popular cafes and bars like Leopold Café are present here. Another popular one is the Crawford Market, which is nearly 150 years old and while Colaba Causeway specializes in clothes and footwear, here you can find a vast variety of items, ranging from gifts to cosmetics. The most unique of them all is Chor Bazar, which means ‘The Thieves’ Market’ and was exactly what its name means. Today however, you can find first-copy products here and also some antiques. Some of the stores here have been selling goods for more than five decades! Apart from these, several street shopping markets are available across Mumbai and it is a common sight to see all these places crowded with shoppers and tourists alike. Mumbai is one of the best cities in India for trying out street food and even food, in general. From small street-side stalls to international fast-food chains, this city has got it all. However, there are two dishes that you simply cannot miss when visiting Mumbai – Vada Pav and Pav Bhaji. Both these snacks were invented right here in the city and are still favorites of majority, which eats them on a nearly day-to-day basis. served with spicy chutneys, or gathered around a Pav Bhaji stall, devouring the heavenly concoction of mashed vegetables served with butter-fried buns. You will find thousands of such stalls across the city serving delicious food. Do not miss out on the Pani Puris, which are spicy mint water filled balls that are adored by all. Mumbai has some of the most amazing places to visit in India. The iconic Gateway of India and the Taj Mahal Palace Hotel, both built 100 years back have become the symbols of this vast city. Marveling at the architectural magnificence of the Chhatrapati Shivaji Maharaj Terminus and seeing the rush hours here is an experience in itself. You can practically dive into history on visiting Kanheri and Elephanta caves, where you can find some centuries old carvings. Kanheri Caves are located inside the Sanjay Gandhi National Park, which is located right inside the city! Mumbai is also home to some of the best amusement parks in the country – Adlabs Imagica, Essel World and Water Kingdom, which are the perfect weekend destinations to chill! This city that never sleeps also has an amazing nightlife for you to unwind completely from your busy week, with some of the best pubs and bars finding home here. There is a reason why Mumbai is very popularly known as the city of dreams among Indians. The financial capital carries a special charm along with it and this is what makes everyone a fan of this beautiful city.